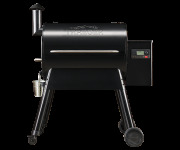 When you fire up a Traeger Wood Pellet Grill, you ignite the power to grill, smoke, bake, roast, braise, and BBQ — you’re the master of all trades. 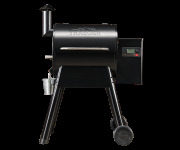 From baby back ribs to wood-fired pizza, smoky mac & cheese and even homemade apple pie, anything you can cook up in your head, you can cook up on your Traeger. 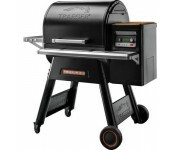 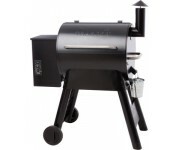 Using a combination of natural hardwood pellets and the precision of digital technology, Traeger grills offer the cooking versatility of a conventional oven with the delicious wood-fired flavor of an outdoor barbecue. 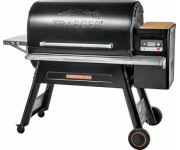 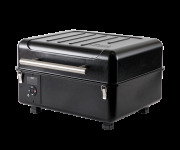 Traeger is the Original Wood Pellet Grill, perfected by decades of mastering the craft of wood-fired cooking, a Traeger Pellet Grill will transform the way you cook because it creates consistent results.